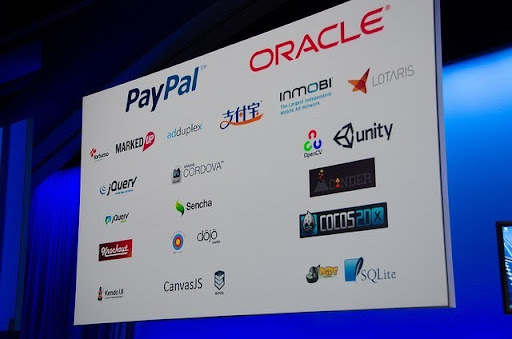 AdDuplex had no official presence at Build 2013 but we got quite a lot of mentions there. I knew about only one of them and the rest came as a pleasant surprise. This post is just a collection of links to those mentions. The big (in terms of unexpectedness (is this a word?)) surprise came at Day 2 Keynote. We were mentioned in a slide on the big stage along with other partners in front of an audience of 6,000 or so people (and a lot more online). I’m pretty sure that no one except my friends noticed, but it was really nice to see anyway. Thanks to Long Zheng for the photo above, and for the actual logo itself. Another surprise mention came from a session by Bernardo Zamora called “Windows Phone: Maximizing App Revenue”. I should have expected a mention there, since Bernardo is one of the most prolific developers and most active AdDuplex users, but I’m used to seeing Microsoft session content either affected by lawyers directly (check out the fun at Hanselman’s session for that) or by “playing it safe”. Exactly that thing happened at a marketing/monetization session for Windows 8 apps where the speaker haven’t mentioned a name of a single partner throughout the whole session. Even when asked a direct question during Q&A. But Bernardo is not like that and I think his session was the best session on the subject ever done by anyone from Microsoft. So be sure to check it out. We also got quite a few mentions at the “Windows Phone: Learn from the Winners”. Thanks to Asli Turgut and Bernardo Zamora for those! I’ve learned about another surprise after the fact. Too bad I wasn’t there in person. Apparently people won Surfaces, Spheros and other stuff for integrating AdDuplex into their Windows Store apps at the Windows QuickStart Challenge in the Big Room. That is all as far as I can remember. If you’ve seen a mention of AdDuplex in some other session at Build or other events, please, let us know in the comments below.